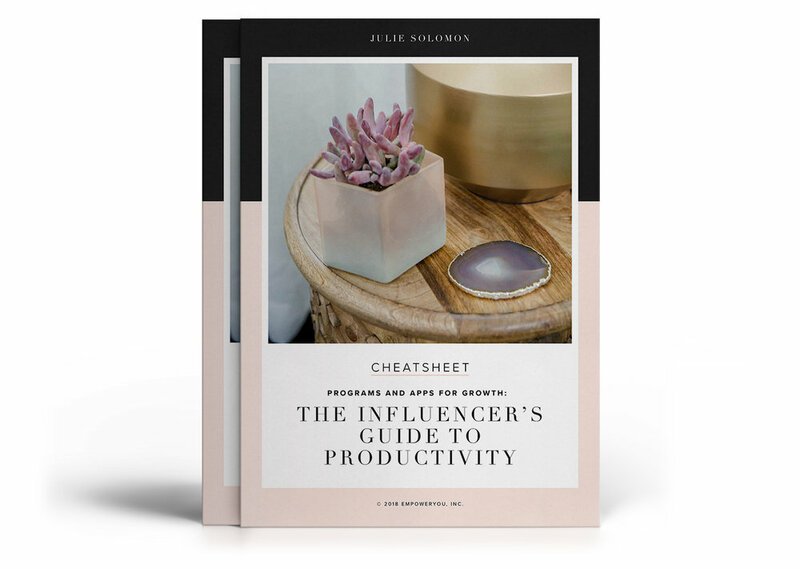 Whether you’re an influencer, blogger, or entrepreneur—you can always use more time in the day, right? While I can’t add hours to your day, I can help you use your time more efficiently. Today, I’m sharing my top five resources for productivity. When I started my career as an online entrepreneur, I spent months working from the moment I woke up until to the moment I went to bed—nearly every day. It wasn’t because I was the busiest person in the world—it was because I was unproductive and unorganized. When I realized how much time I was wasting, I decided to take matters back into my own hands. 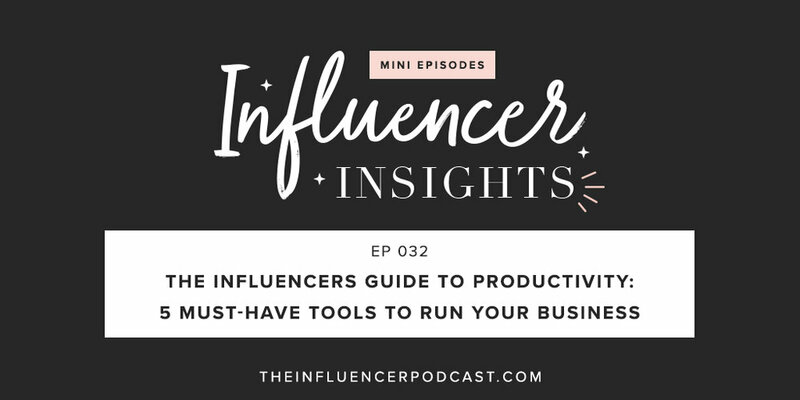 On today’s episode, I’m sharing the top five productivity tools that helped me drastically increase my productivity and income. Tune in to find out what they are and how I use them in my business! Also be sure to grab the free tipsheet below!